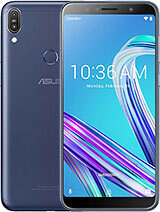 Does asus zenfone 5 has FM Radio ?? AnonD-300572, 01 Sep 2014Does usb OTG support ?? ?Yes it does. Although when you get it in the shop, it might have older version of firmware loaded, that does not support it. But once you update firmware, it will. Does usb OTG support ??? 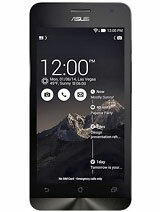 AnonD-300444, 31 Aug 2014Thanks man,after few months of your experience with your zen5,is worth to buy?There are few phones with such a high "bang for buck" ratio out there. 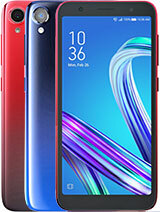 Generally, if you go with "big boys" brands, you won't get much for the price that this phone costs, and it you go with "nonames" you are likely to get a much worse built phone or one with much lower specs. It is looking and performing double the price that it costs. However its weak spot is the battery life (which can be compensated by using power saver mode and/or use of powerbank, if you're a heavy user), and non-illuminated sensor buttons under the screen which there's nothing you could do about. AnonD-300444, 31 Aug 2014I plan to buy this on in physically,not online so how can I check for fireframe or other think... moreMost important is whether it is international version or not. On box: at the back there is a sticker, if it says all in Chinese, and/or has written CU_ANDROID at the bottom in the specs - that's not what you want. The sticker should be all in English and have WWE-ANDROID written there. On phone: Open the Settings, and tap on ABOUT right at the bottom. Now you have a choice of either tapping first option, SYSTEM UPDATE, or to tap last one, SOFTWARE INFORMATION. Both will show you "BUILD NUMBER". If it is the latest version, it would have 1.17.40.16 just after that, then release date. The important bit is that WW in there. Do NOT get it if it says CHT, CN or TW. Now on to hardware. 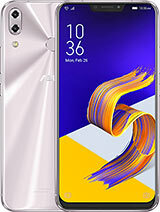 It is recommended that you get one with 2 GB RAM, and either 8 or 16 GB eMMC. You can check this at the bottom of the box, where it should say the amount of RAM and eMMC. It is not recommended to get 1 GB RAM (TOOF A500CG) models, although they could be slightly cheaper. Since phone in shop might not have any special diagnostic apps loaded, to check the amount of RAM on the phone, you can open Settings, and in it tap on APPS, then scroll screens left until RUNNING shows at the top. At the bottom you'll see amount of RAM used and available. Add these 2 together and there's your total RAM amount. 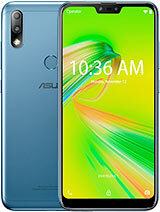 As for CPU… the phone can come with either 1.6 or 2.0 GHz Intel Atom dual core hyperthreading CPU. Personally I don't think it matters which you get, as both are snappy. Unfortunately you'll need to rely on what it says on the box (unless some system info app is loaded) to what CPU is actually built-in. AnonD-274044, 01 Sep 2014Hi tomazz What about the camera is that good? And for playing games like minecraft and ... moreI never play games so no idea on that. Others can answer you that. A bit old now, but basically, the ending of the file name shows whether it's Auto (no ending), Panorama (PN), that much touted night mode (LL), Miniature (MT), HDR or fake Depth of field (background blur - DP). These are a little old now, taken with 1.14 firmware. What about the camera is that good? 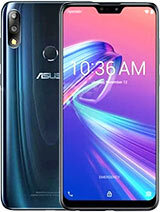 Anybody real user please help me I am waiting to buy the phone only for these reasons. Reply a.e.a.p. AnonD-300444, 31 Aug 2014I plan to buy this on in physically,not online so how can I check for fireframe or other think... moreFirst u must check its internal memory and processor. I plan to buy this on in physically,not online so how can I check for fireframe or other thinks and what are the most important things to check?plz help me! AnonD-279813, 31 Aug 2014Hmm… well, I don't know what CPU you would get. You need to ask the seller or check the spe... moreThanks man,after few months of your experience with your zen5,is worth to buy? 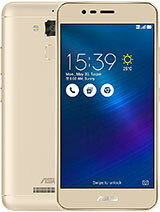 AnonD-300444, 31 Aug 2014Hi tomaz,i am planning to buy this phone,zenfone 5 8gb.is it 1.6 Ghz or 2.what is your opinion... moreHmm… well, I don't know what CPU you would get. You need to ask the seller or check the specs. I prefer 1.6 GHz version as it is more than fast enough for what I do with it. How much more 2.0 GHz version heats up, I am not sure. I don't think by much, though. 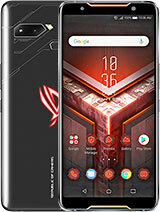 Personally I understand that it's a budget phone, so my expectations are not as high as on some 4-5x more expensive phones, which can't do much more than this one can. 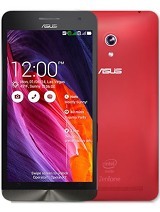 Abhishek, 31 Aug 2014When asus zenfone 5 is getting kitkat updateIt's in beta, so it should be in a couple of weeks max. I bought this phone 2 weeks ago. Its just perfect. Fast CPU (faster than most quad core), fast and large RAM. It reaches nearly 23000 points in Antutu.